In this article, we will show you the Power BI Dashboard Actions and their uses. Before we start exploring the list of dashboard actions in power bi, let me show you the existing dashboards in my Power BI workspace. To view them, please click on the Power BI My Workspace, and then go to the dashboards tab. 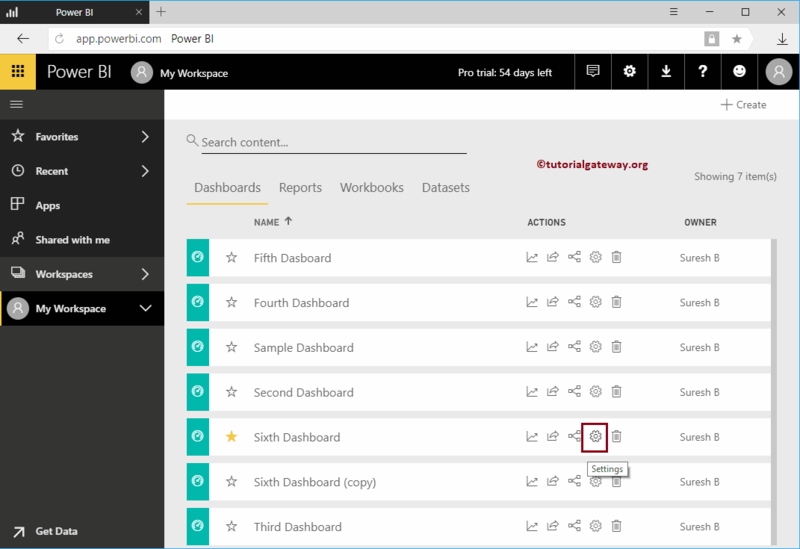 From the below screenshot you can see that, there are six dashboards. In this example, we will use the Sixth Dashboard to demonstrate the power bi dashboard actions. From the below screenshot you can see the report displaying the Views per day, by user etc. 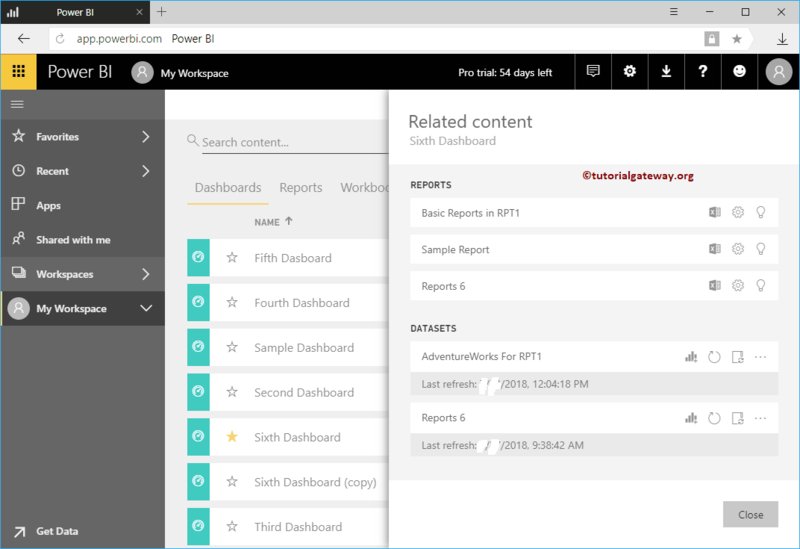 You can also pin these reports to your main dashboard. 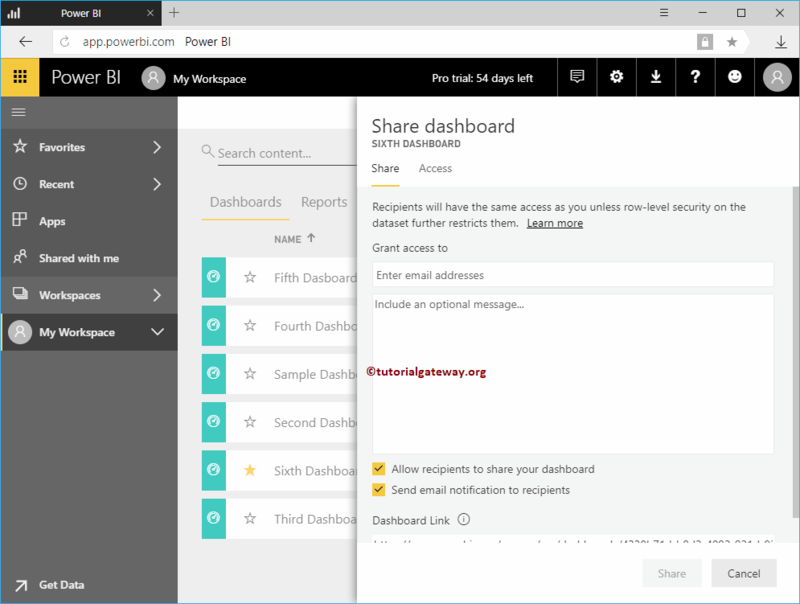 Use this button to share this dashboard across the organization. Let me hit this button. Clicking the share button will open the following window. 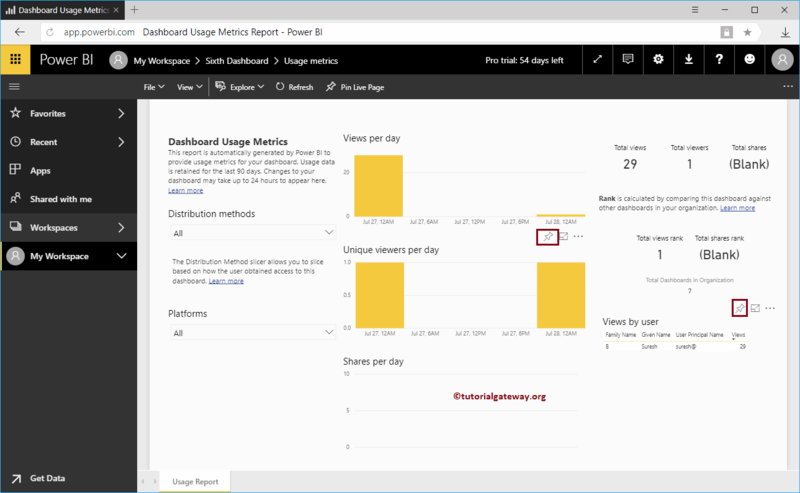 I suggest you to refer Share a Dashboard article to understand the options. This button help you to see the items that are related (that we used to built this dashboard) to this dashboard. 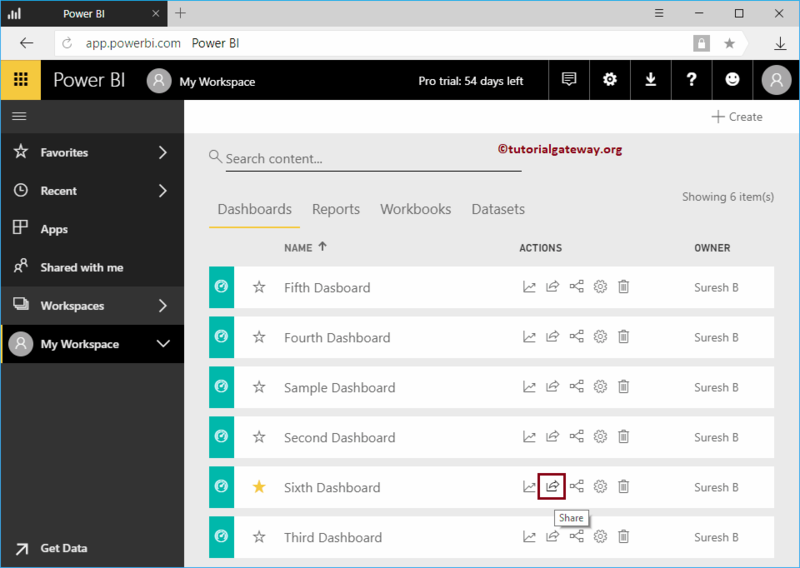 You can alter the Power BI dashboard settings using this option. I suggest you to refer Dashboard Settings article to under these settings. This button will help you to delete the unwanted Power BI dashboard from your workspace. I suggest you to refer Delete a Dashboard article.